In an ever-changing world, more and more consumers are becoming earth conscious and environmentally friendly. AmeriGuard Pest Defense is proud to offer services geared toward customers that prefer this alternative method to traditional pest control. Consumers often call AmeriGuard to inquire about organic pest control options that they wish to have used in and around their home. A pesticide is defined by the Environmental Protection Agency (EPA) as any substance that is designed to prevent, destroy, repel or mitigate any pest. Pesticides can include insecticides, fungicides, herbicides and various other substances used to control pests. There is a growing organic movement and we often hear about organic crops and organic farming. However, the term “organic” means something different in the pest control industry. 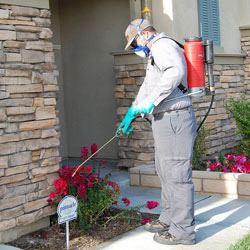 The phrase “organic pest control” refers to organic chemicals that contain carbon and hydrogen as their basic structure. It is important not to become confused by pest control companies advertising their services as safe, non-toxic or organic. In fact, in California, it is against the Structural Pest Control Act to advertise pest control services that are “safe”, “non-poisonous”, “harmless”, “non-toxic” or “EPA-approved”. The EPA actually prohibits the use of the word “safe” when referring to pesticide products. Botanical pest control can also be misleading to consumers looking for alternatives to traditional pesticides. Certain plants contain substances that are naturally poisonous to insects and other mammals. Strychnine is produced from the dried seeds of the strychnos tree that grows natively in India. Styrychnine is lethal to mammals but is all natural. Just because something is referred to as organic pest control does not mean that is what you intend to have used at your property to control your general household pests. As you can see, even products that are derived from natural sources are not non-toxic or 100% “safe” and it is misleading to advertise as such. Even household window cleaners are toxic at some level. 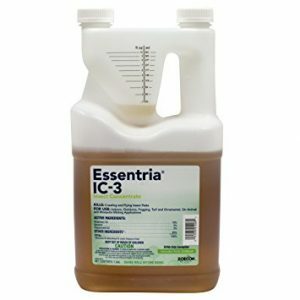 Essentria IC-3® Insect Concentrate is the product of choice in our AmeriGuard Green Division Botanical Service. Featuring active ingredients derived from essential oils, Essentria® IC-3 is an environmentally friendly pest control solution. The natural liquid insecticide provides immediate knockdown and long residual control of insects. Zoëcon’s Essentria® IC-3 Insecticide offers sensitive pest control, with a target-specific mode of action. This unique octopomine blocker technology uses essential oils such as rosemary, peppermint and geraniol to disrupt the neurotransmitter function in the simpler nervous system of intervebrates (crawling and flying insects). These oils target the insect nervous system without impacting other animals. AmeriGuard is also able to provide pest control services using reduced-risk pesticides that are formulated to affect the target pest and while not impacting non-target organisms, such as mammals. Reduced-risk pesticides, such as Dupont Arilon (active ingredient Indoxacarb), allows AmeriGuard to offer a pest control service that poses less risk to human health and the environment compared to conventional pesticide alternatives. Is the AmeriGuard Green Defense Service right for your home? Reducing the use of pesticides on your property is the first step. 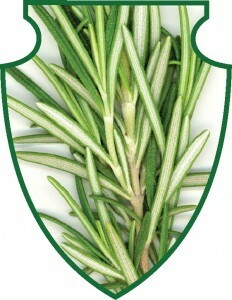 Green service also relies on Integrated Pest Management (IPM). An IPM approach can be very effective at reducing pest problems at your property. Below are some strategies for minimizing pest habitats and reducing infestations. Natural botanical pest control products do not have the same half-life as traditional pesticides must be reapplied on a monthly basis. Both the inside and outside of your home are always under warranty. AmeriGuard’s Green Defense Program guarantees your satisfaction between regularly scheduled maintenance services with unlimited free re-treatments for all general pests. If at any time, you find yourself in need of an additional treatment in between regular monthly services, call us and we will return to treat your home again at no extra cost.